In a move raising the potential threat of a Russia-NATO conflict, Russia says it will deploy long-range air defense missiles to its base in Syria and destroy any target that may threaten its warplanes following the downing of a Russian military jet by Turkey. The incident, the first time in half a century a NATO member shot down a Russian plane, may put Moscow and the alliance on the verge of a direct conflict. If Russia shoots down a Turkish plane, Turkey, a NATO member, could proclaim itself under attack and ask the alliance for military assistance. The situation is even more alarming as Russian and Turkish presidents are strong leaders reluctant to back down and seek a compromise. Most observers believe that while a direct military confrontation will be unlikely, the shooting down of the plane will further fuel the Syrian conflict and complicate international peace efforts. The S-400 missiles, which Russian President Vladimir Putin ordered to be sent to the Hemeimeem air base in Syria's coastal province of Latakia just 50 kilometers (30 miles) away from the border with Turkey, are capable of striking targets within 400-kilometer (250-mile) range with a deadly precision. The military also moved the navy missile cruiser Moskva closer to the shore to help protect Russian warplanes with its long-range Fort air defense system. "It will be ready to destroy any aerial target posing a potential danger to our aircraft," Russian Defense Minister Sergei Shoigu said at a meeting with military officials. He added that from now on Russian bombers will always be escorted by fighters on combat missions over Syria, and announced the severance of all military ties with Turkey. Ozgur Unluhisarcikli, director of the German Marshall Fund in Ankara, said the downing of a Turkish plane by Russia is also a possibility. "Turkish planes violate the Syrian border daily, either for reconnaissance flights or for anti-IS operations," he said. "In the same way that Turkey argues it has rules of engagement, Russia could also declare its own rules of engagement saying it has right to protect the skies of its ally." The Russian plane's downing marked a dramatic turnaround in relations between Russia and Turkey, who have proclaimed one another "strategic partners" in the past and developed booming economic ties despite differences over Syria. Putin described the Turkish action as a "crime" and a "stab in the back," and called Turkey an "accomplice of terrorists." In a sign of escalating tensions, protesters in Moscow hurled eggs and stones at the Turkish Embassy, breaking windows in the compound. Police cleared the area and made some arrests shortly after the protest began. Speaking in televised comments from the Russian base in Syria, the surviving navigator of the downed plane, Capt. Konstantin Murakhtin denied that his jet veered into Turkey's airspace "even for a single second." He also rejected the Turkey's claim that it has issued repeated warnings to the Russian crew before shooting down the plane. The leading Russian tourist agencies already have suspended the sales of tour packages to Turkey, a significant blow to Turkey that saw nearly 4.5 million Russian visitors last year, second only to German tourists. Osman Ayik, the head of the Turkish Hoteliers Federation told Taraf newpaper Wednesday a decline in Russian tourists visiting Turkey would be a "disaster" for the Turkey's tourism sector. If Russia-Turkey tensions escalate further, both countries potentially can inflict significant pain on one another in many areas. Unluhisarcikli said that along with economic moves, Russia may also increase its support to the Syrian Kurdish groups, something it had refrained from doing in the past not to anger Turkey. It could for example go ahead with plans to open an office in the Syrian Kurdish regions and supply arms to the fighters, Unluhisarcikli said. Analysts said Turkey doesn't have the option of closing the Turkish Straits to Russia, which has used the route to supply its forces in Syria. According to the Montreux Convention setting out international rules for using the straits, Turkey can only make the move if the two countries are formally at war. Turkish Prime Minister Ahmet Davutoglu sought to ease tensions Wednesday, calling Russia Turkey's "friend and neighbor" and insisting relations cannot be "sacrificed to accidents of communication." He told his party's lawmakers that Turkey didn't know the nationality of the plane brought down Tuesday until Moscow announced it was Russian. 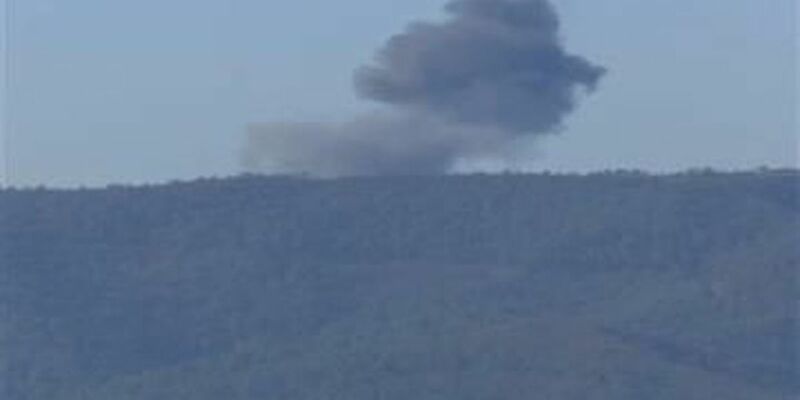 Russia's Lavrov shrugged off the Turkish argument that its rules of engagement required it to shoot down the plane, pointing at the 2012 downing of a Turkish warplane by Syria in its airspace. He said Ankara argued in that case that a brief incursion wasn't reason to shoot down its jet. He also pointed at routine violations of Greece's airspace by Turkish combat planes. Before Tuesday's incident, Russia and the West appeared to be inching toward joining efforts to fight the Islamic State group following the horrific Nov. 13 attacks in Paris and the Oct. 31 bombing of a Russian airliner over Egypt's Sinai desert. The Islamic State group claimed responsibility for both attacks. The downing of the plane came as French President Francois Hollande was visiting Washington prior to a trip to Moscow set for Thursday in a bid to narrow the rift between the West and Russia and agree on a joint action against the IS. "On NATO's side, I think there is a strong desire not to jeopardize the diplomatic mission of President Hollande," Bruno Lete, a senior analyst at the German Marshall Fund in Brussels. Lavrov said that Russia remains committed to efforts to try to negotiate a Syria peace deal, but emphasized the need to take action against the group's sponsors. He accused Turkey of helping the IS by buying oil from the group, and said that "terrorists" used the Turkish territory to prepare terror attacks against other countries, which he didn't name. Associated Press writers Suzan Fraser in Ankara, John-Thor Dahlburg in Brussels, Zeina Karam in Beirut and Nataliya Vasilyeva in Moscow contributed to this report.